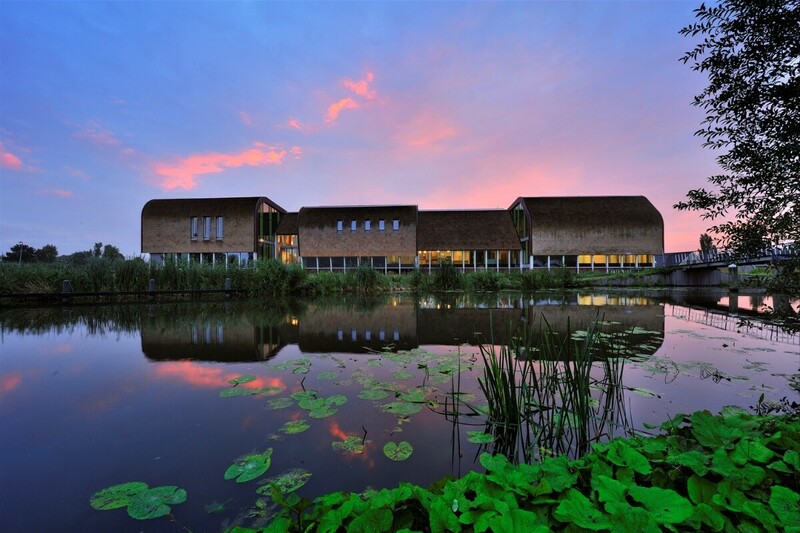 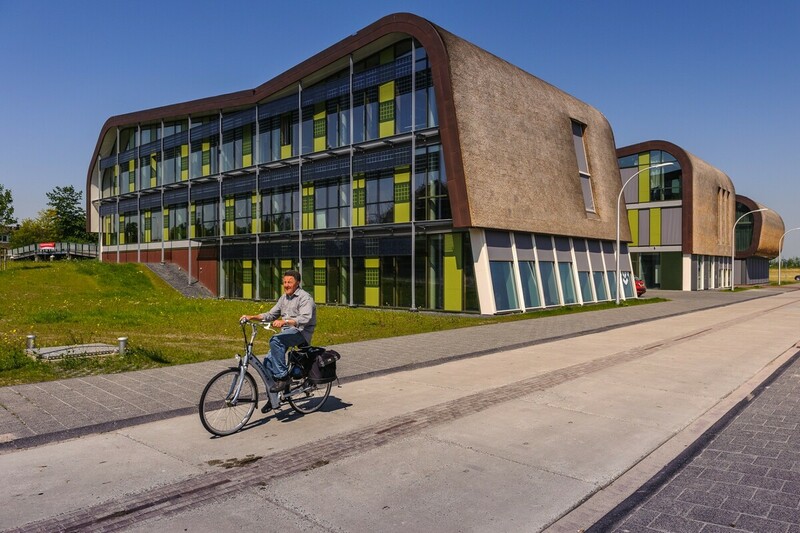 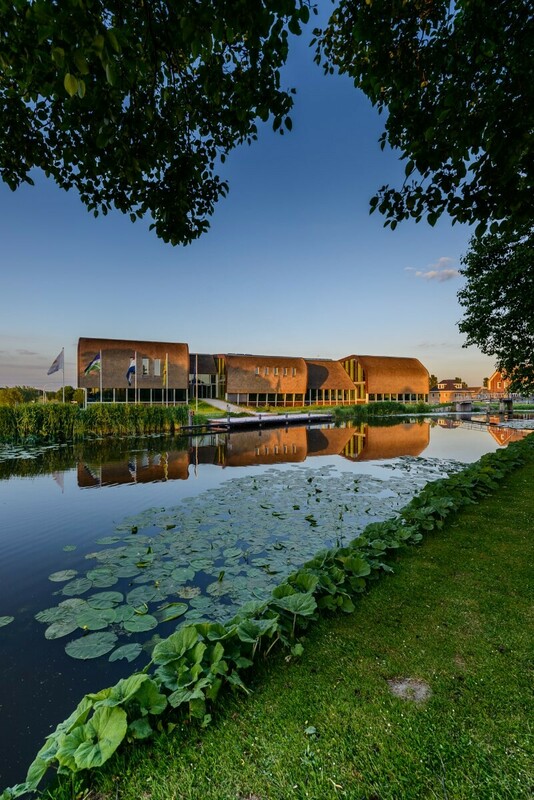 The new town hall of Midden-Delfland expresses the core values of the municipality: quality of life and a green and creative character. 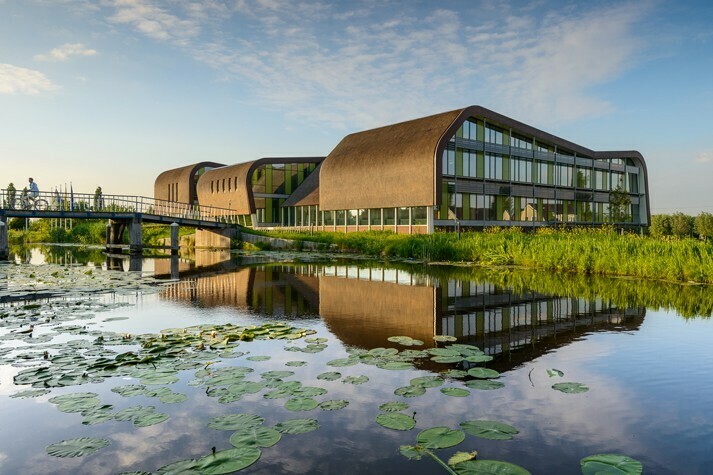 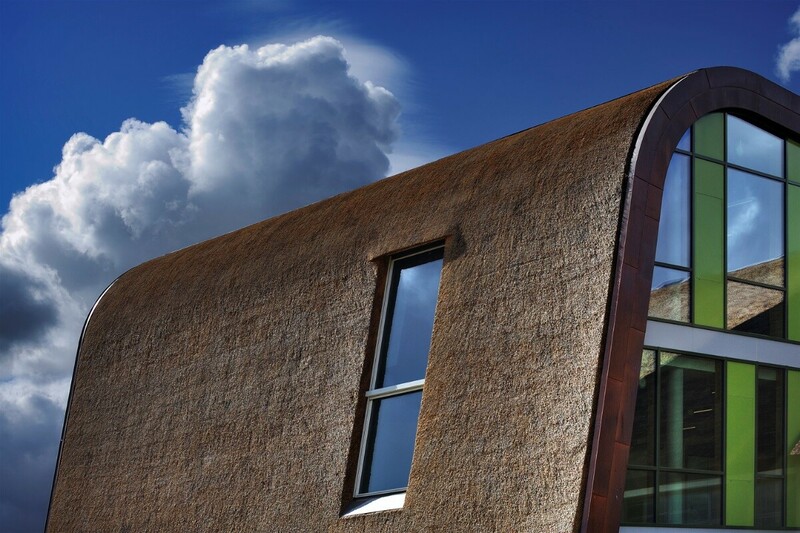 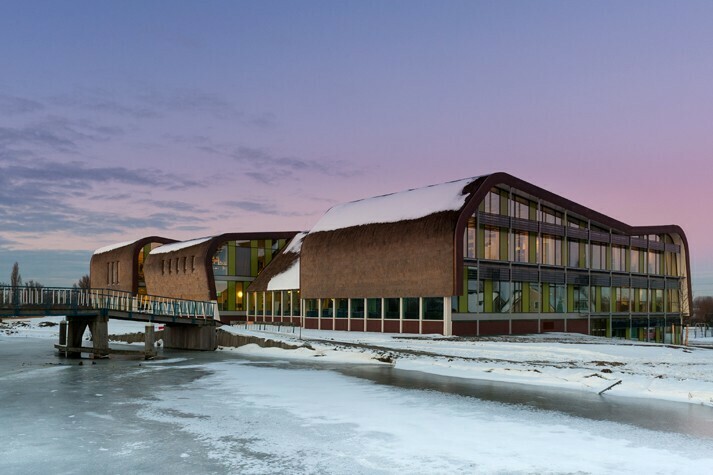 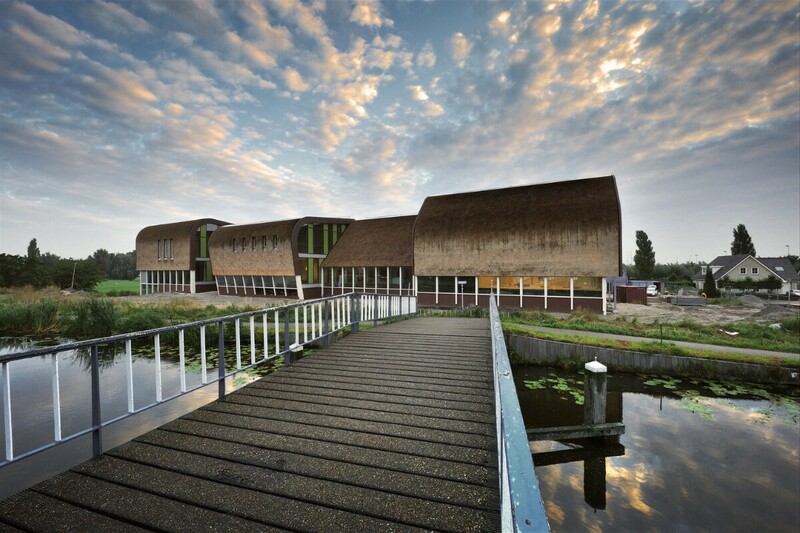 The utmost sustainable, CO2-neutral building benefits from its unique location in the countryside. 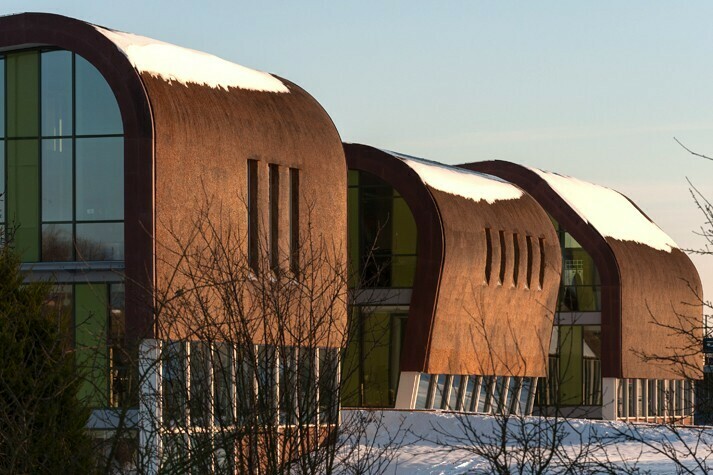 Five transparent building sections are constructed according to the typical strip land parcelling and are covered by softly curving reed/sedum roofs. 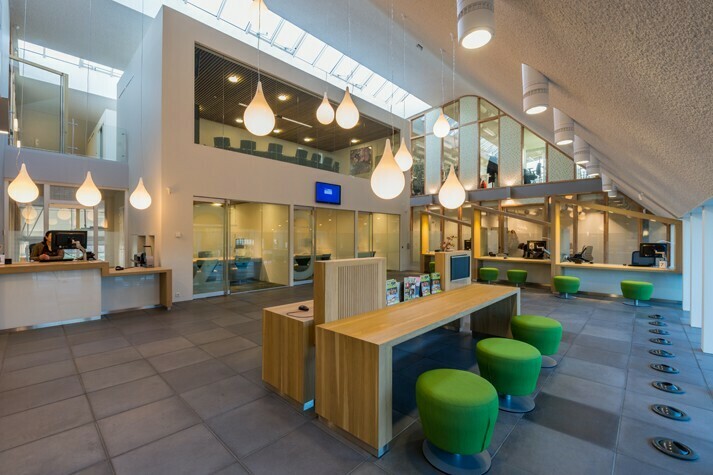 The interiors made in natural material and modest designs reflect the character of the merged municipalities and their down-to-earth inhabitants. 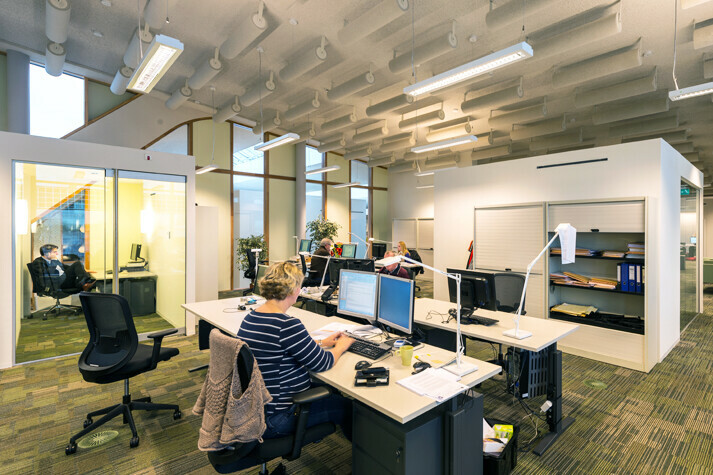 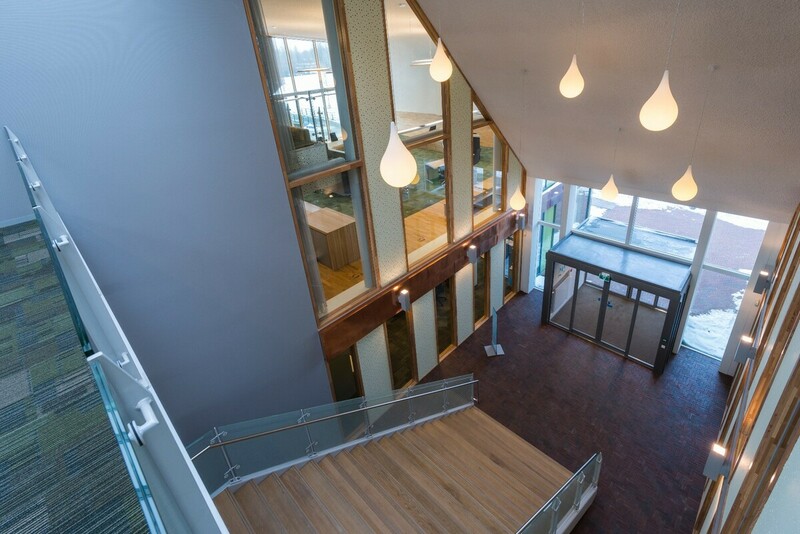 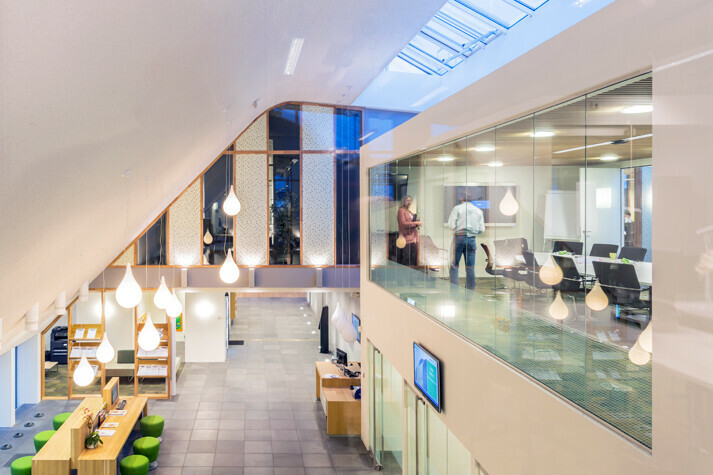 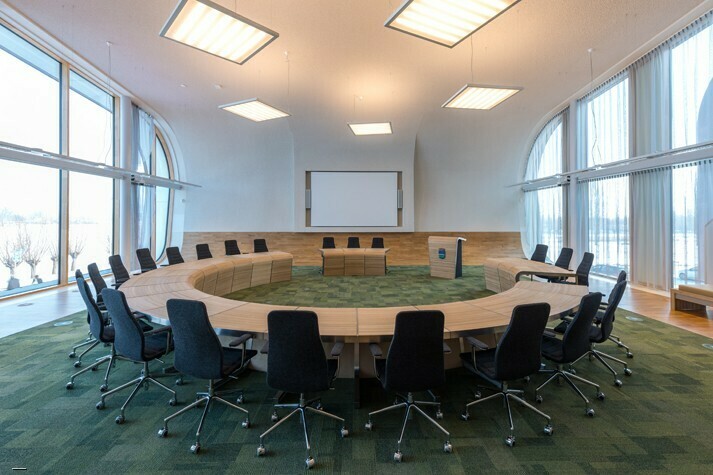 With its new town hall, the municipality sets an example for its inhabitants and promotes the core values of life in Midden-Delfland.